Summer is in full swing and so is my warm-weather wardrobe! 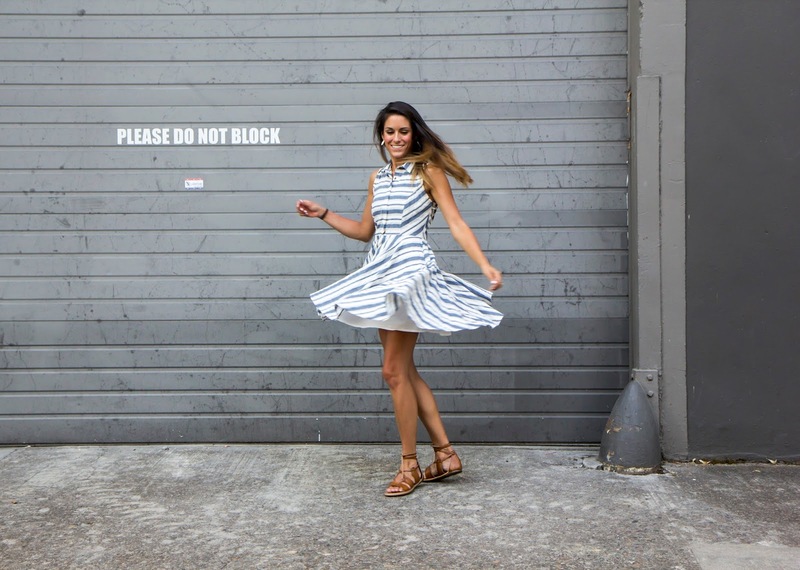 We've had 90 billion days in a row reaching at least 90 degrees, so I'm all about the fun, flowy dresses. 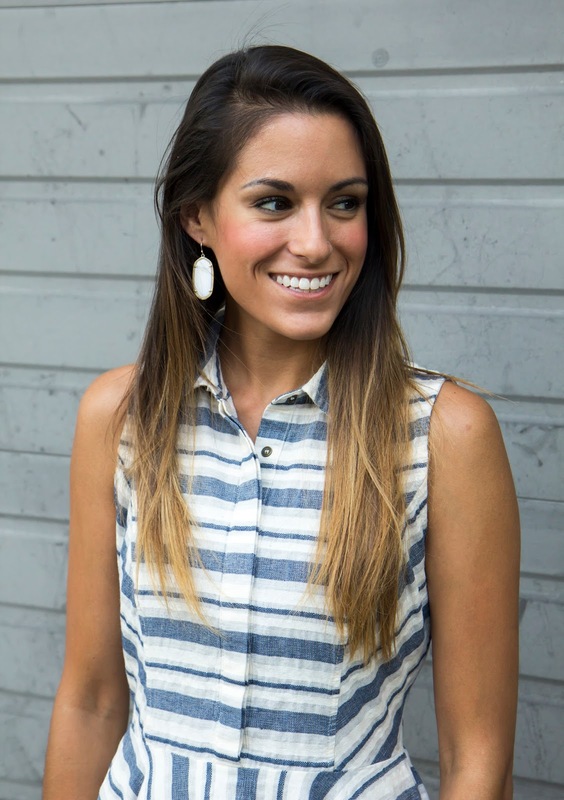 I love this one because it's perfect for work and easy to jump to happy hour. AND you'd better get it now because it's already sold out twice! 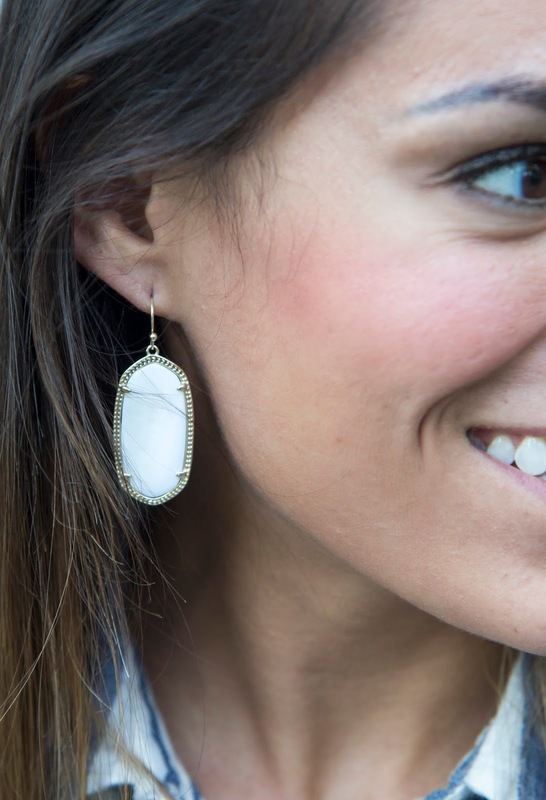 I'm not a dangly earring kind of girl, but I couldn't help but pair this white mother of pearl pair from Kendra Scott. It goes perfectly and is slowly turning me on to larger earrings because it looks so good with everything! Want to get a free month of jewelry delivered right to you door?! Sign up for Rocks Box today and use the code torilesikarxoxo at check out! I've been using Rocks Box for 2 months now, and I have to say that I LOVE going online, creating a wish list, and waiting for the mail to see what my personal stylist chose for me. And, the best part? If you want to keep your pieces you can...and at a discount!